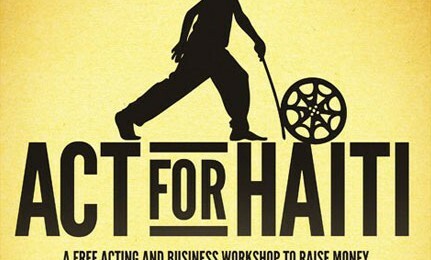 Act for Haiti is a FREE ACTING WORKSHOP to raise money & awareness for the Ciné Institute in Jacmel, Haiti. Help us by spreading the word to fellow actors and peopel in the industry. The guest speaker, Michael Stahl-David was the lead in Cloverfield. This is going to be an amazing event, so tell your friends!